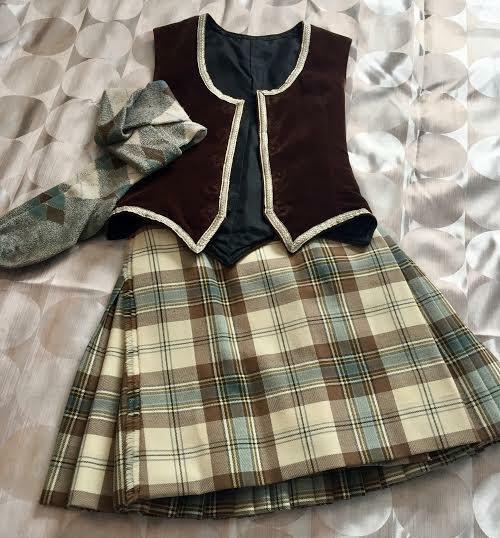 dance.net - Kilt outfit (unsure of tartan) (10245374) - Read article: Ballet, Jazz, Modern, Hip Hop, Tap, Irish, Disco, Twirling, Cheer: Photos, Chat, Games, Jobs, Events! Selling this kilt outfit. Comes with vest, kilt and hose. Unsure of the tartan. I believe it to be Pride of Duarte? The vest has no buttons. Growth pleat is at minimum- 3"
Heel to top of folded cuff- 17"
It's the Brown Dress MacLean of Duart. lol It's a family tartan....wish I had money to buy it! You don't see the brown anymore. Yes, I know. That's why I purchased it because it was different. I always like to choose things that aren't what you see all the time. Plus, I just thought it was a pretty tartan. Is this a full kilt or a kiltie? would you be willing to send me a few more photos? I live in Alberta. It is a full kilt. I will get some more pics for you when I am able. I am really sick today. 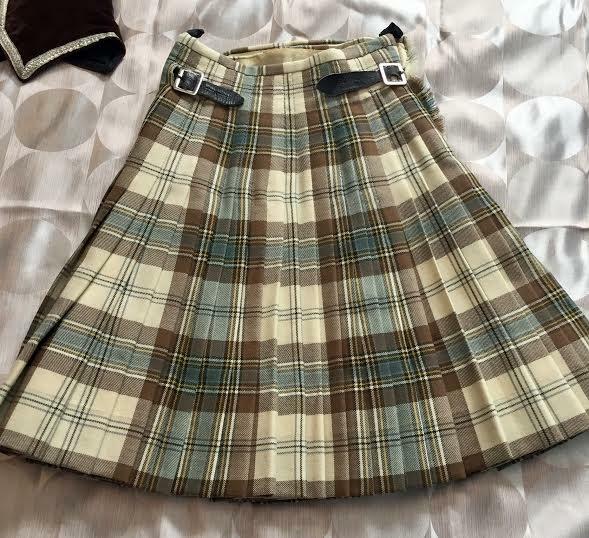 I would like to purchase this kilt outfit if other sale falls through. I am in the US and more than willing to pay for shipping. I am just waiting to hear back from the other lady. Thank you for the quick reply - I will wait to hear from you if the sale is final. This is my family tartan so really interested in this outfit. I am just awaiting payment on the outfit now and once its all finalized I will be closing the thread but I just wanted to update you. Thank you for your interest.